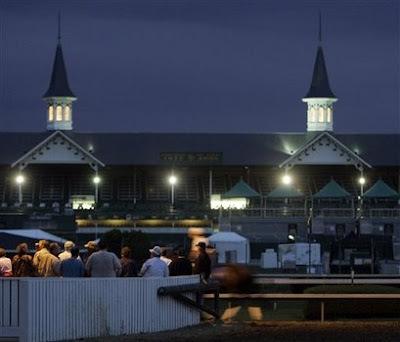 While Kentucky is the clear winner with the most Kentucky Derby winners produced (101) to date, the Commonwealth of Virginia, which produces many fewer foals annually (10,400 for KY and only 380 for VA in 2006 when this year’s Derby horses were born), is third on the list. Most of the soreness has come out of the foot. It may be patched over the weekend. He will probably walk or tackwalk under the shed until then. Until we get him right and can get back in a pattern of consistent training discussion of future races would be pure conjecture. 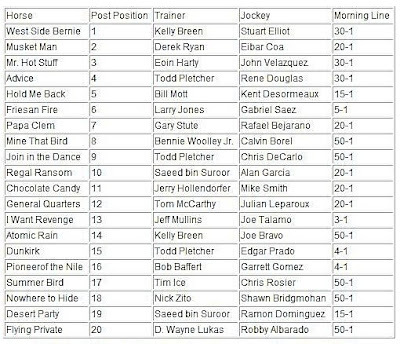 Eleven timber steeplechase horses have been entered in Saturday’s 84th running of the $75,000 Virginia Gold Cup. 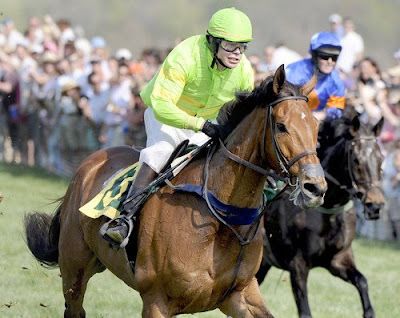 The two previous winners – Virginia-bred Salmo in 2007 (pictured) and Bubble Economy in 2008 – will face-off against nine “wanna-bes” tackling the four mile course that features 23 timber fences. LUCKY OR UNLUCKY? David Lanzman, who is part owner of Kentucky Derby entrant I Want Revenge, hangs the silks in gate No. 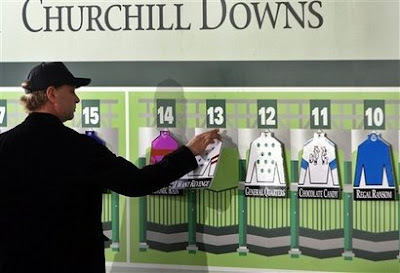 13 during the post-position draw for the Ketucky Derby horse race at Churchill Downs in Louisville, Ky., Wednesday, April 29, 2009. 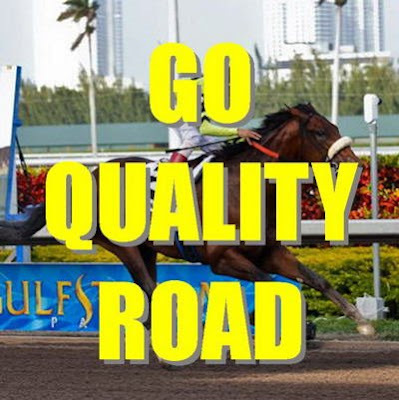 QUALITY ROAD: The news of Quality Road’s foot problem and withdrawal from the 135th Kentucky Derby is profoundly disappointing. Disappointing to everyone involved from owner, trainer, exercise rider and groom in New York down to everyone at Spring Hill Farm down in Casanova. My guess is even the dogs that hang out in the Spring Hill office were bummed out. Calm Bay (f, 3yo), Stormy Atlantic – Falling Leaves by Deputy Minister. 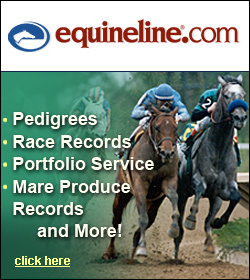 B – Lazy Lane Farms, Inc. Pimlico, 4 /25/2009, mdn sp wgt, winner’s share of purse: $13,680, 8 f, 1:41.83. Eight horses started the 113th Maryland Hunt Cup on Saturday. Two of them finished. 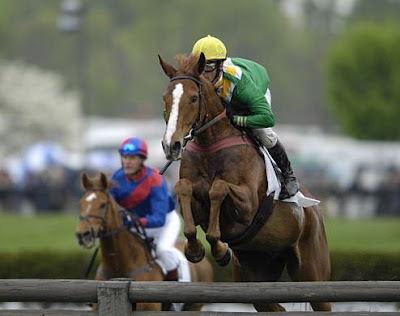 One by one, the 22 menacing fences picked off mounts and jockeys, most of whom had ridden the race before. 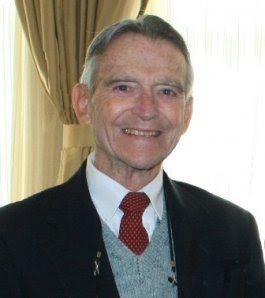 BLUE RIDGE FARM PARTNER CARY T. GRAYSON, JR.
Cary T. Grayson Jr., 89, died March 15, 2009, on Sanibel Island, Fla., where he was wintering. 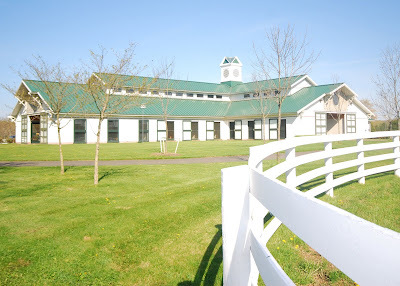 Grayson, and his family, operated Blue Ridge Farm in Upperville which served as one of the leading stallion stations and nurseries in the Commonwealth for over 30 years.